Rev. Anthony L. Forman is the Pastor at West Baltimore United Methodist Church. Rev. Anthony L. Forman has earned a Master of Theology degree from St. Mary’s Seminary and University Ecumenical Institute of Theology. He is a native of Baltimore, MD. He is a bi-vocational pastor and currently works in Coppin State University’s IT Division as Assistant Director of Telecommunications. 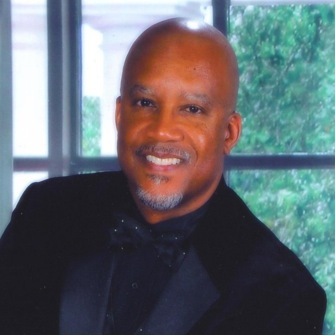 He has served in ministry as a praise team leader, associate minister, co-pastor, and pastoral care team member. He also served at the Frederick Rescue Mission teaching Bible study for men who were recovering from various challenges of life. God has given him a hunger for his Word, a passion for people, and a desire to see lives changed. He thanks God for finding him faithful for service. Through Jesus Christ and the grace of God, he has been committed to lifting up men and restoring families through evangelism, teaching and mentoring. Rev. Anthony L. Forman is married to Rev. Dr. Scheherazade W. Forman. They have seven children and eleven grandchildren.